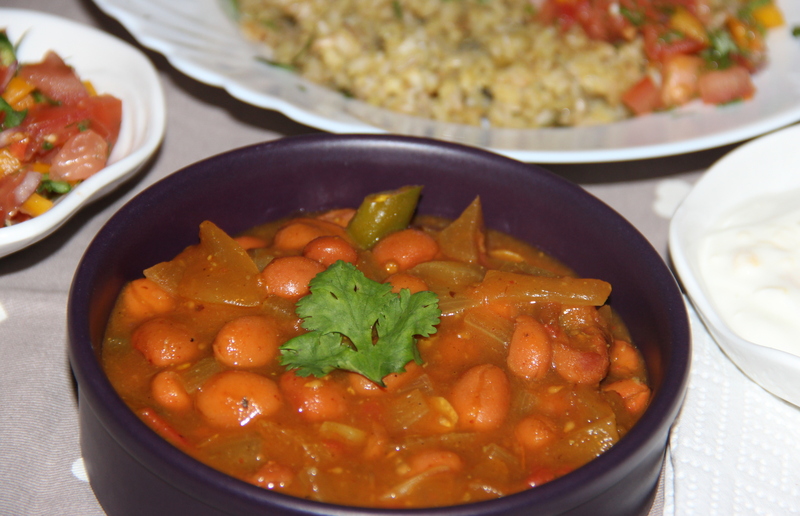 This is a delectant protein rich curry with rose cocoa beans. 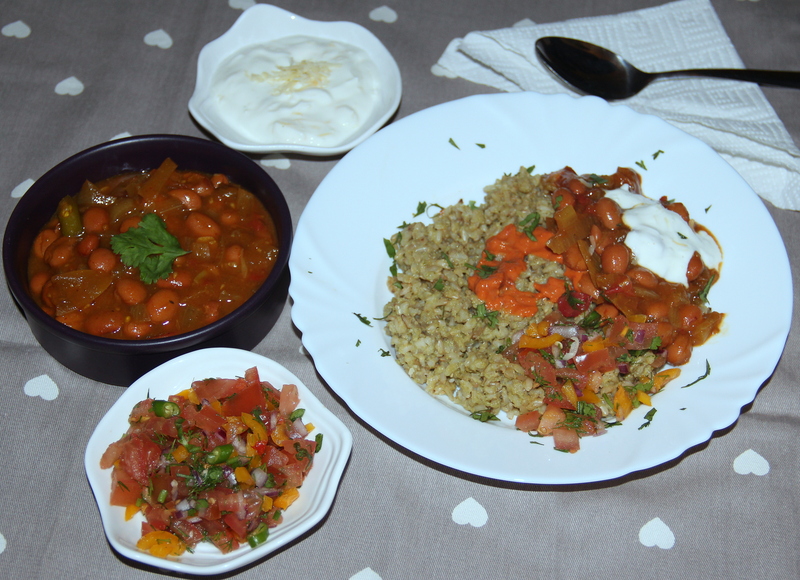 I first soaked the cocoa beans overnight and cooked beans simmered in the tomato sauce with the blend of spices. Heat oil in a deep sauce pan over medium heat, add cumin seeds, ginger, garlic, onion, green chilli and let sizzle for one minutes. Add the tomato sauce, salt and dry spices (ground cumin, coriander, cayenne/paprika) and cook for an additional five minutes, stirring frequently. Add cooked kidney beans with water and vegetable stock and chopped tomatoes. Bring it to a boil. Then simmer for 10-12 minutes. Once the curry is cooked well and heated through. Posted on November 17, 2014, in Indian, International, Main Course, Side dish. Bookmark the permalink. 19 Comments. Mmmm…. delicious. Very nice love the bean curry, I don’t know if I’ve ever had that type of bean, they look nice and meaty, The rice with the curry is perfect. I will and with the rice. I love almost all beans but you really amped up the flavor here. As you state, they have a great health benefits! Thanks Bob and glad you liked this recipe….